5 not that glamorous habits I have … ooops!! I used to work with a girl that always said that in her head she can run miles and she looks so good whilst doing it. She can almost feel how fit she is and see her toned muscles in motion. Well the reality was different and we always laughed together. To be fair she was saying it quite a lot and I could see where she was coming from. They are the small things I wish I wasn’t doing but when the time is precious or I just get lazy I slip back and just keep repeating these things over and over again. And I hope I am not the only on this boat. Paint over chipped nail varnish – I cannot stand this one but I keep doing it. I love women with lovely manicure and it almost gives me anxiety if I have chipped nail varnish but with busy lifestyle you have times when you simply do not look perfect. Sadly I am often tempted especially in a rush that I just quickly paint over the chipped nails and hope for the best. Messy handbag – Oh well, I always love to watch those what’s my handbag videos and man I feel bad afterwards….If you look at mine on a good day it is getting closer to those amazing videos but on most days you find the most random stuff from receipts, lot of lipsticks, dummy, snack for Liam and everything is just a big mess. Pred par lety jsem pracovala s holkou, ktera pokazde rikala, ze ve sve hlave umi hrozne dobre behat a strasne ji to jde. Popisovala mi jak se vidi jak bezi strasne daleko a navic u toho vypada naprosto fantasticky, svaly se ji rysuji v pohybu a deset mil je pro ni jako nic. Samozrejme opak byl pravdou a vzdy jsem se s nim smala, rikala to totiz velmi casto. A tak jsem se zamyslela a rekla si, ze ja si taky obcas ve sve mysli pripadam skvele a vse mi jde tak dobre. Jsem zkratka denni snilek….jenomze opak je realitou a je treba jit s kuzi na trh. Delam tolik veci, ktere bych nemela verejne priznavat, ale pak se vzdy zastavim a reknu si, ze tyhle zlozvyky bych mela prestat delat. A tady jsou…. Nosim gumicky do vlasu na zapesti – No ono by to nebyla az takova hruza, jenze ja vzdy zapomenu, ze ji tam mam a pak se hrozim, ze mi to nici fotky. Zadny modni zazrak to totiz neni, ale zase je to prakticke….gumicka je stale po ruce, kdyz je treba. Neporadek v kabelce – Rada koukam na what’s in my handbag videa a vzdy si rikam, ze do idealu mam hodne daleko. Kdyz me to chytne a vse protridim a uklidim, tak se to da, ale vetsinu dni je to trosku horsi. Rada bych rekla, ze tam nosim sik diare a vse je uhledne, ale vetsinou je to tak 6 rtenek, uctenky, dudlik, svacinka pro Liamka, prazdy papir od nejake raw bar apod. I am guilty of all of these too! Apparently I am not at all glamorous! WHY IS IT OK TO HAVE A LAZY DAY?! Are there real friendships in blogging industry? 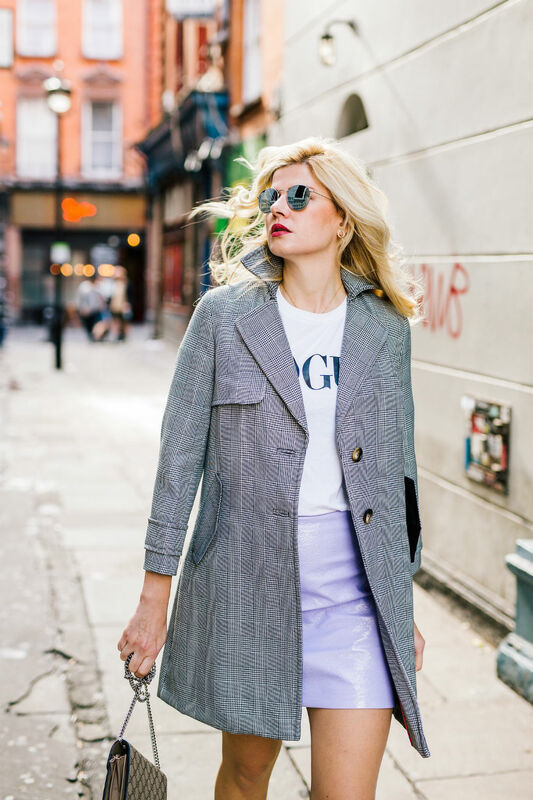 Outfit: Top things PR could learn from Influencers? !